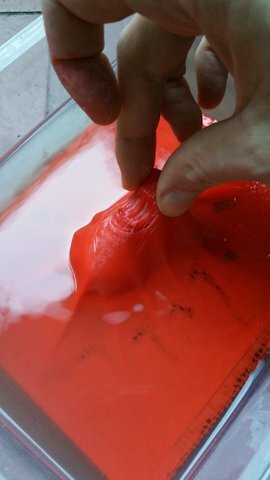 Thanks cloak fiend for posting all your research into this - it's really interesting to see what you are doing with the Acetone - I tried it ages ago and thought that it didn't do anything apart from bleaching the PLA - you have been very observant - I'm going to have another go with some old prints in different PLA colours. This is the finished model sprayed gold, spraying video in next post below. 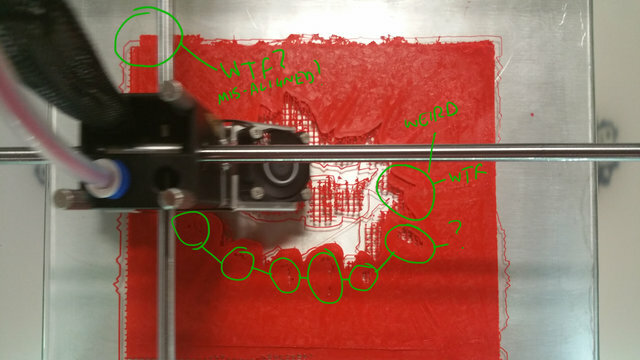 Remember it works only with 0.06 colorfabb PLA, or 0.1 (depending on the model) with UM PLA but by all means have a go. It always depends on the material and also sometimes in the way the model is printed. 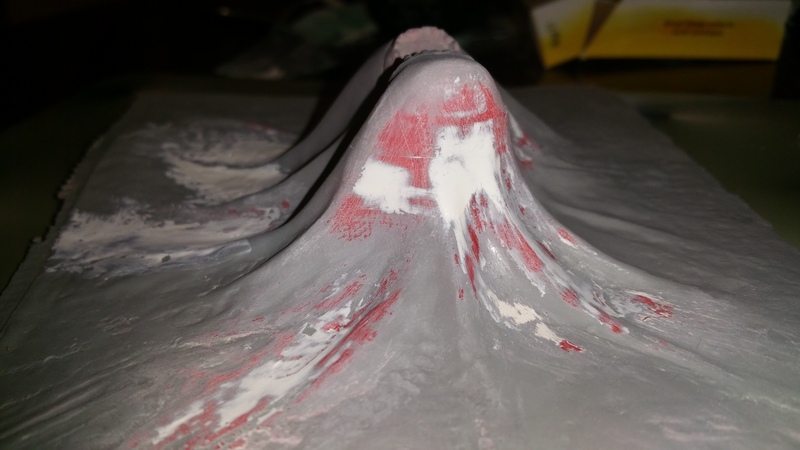 You will always get subtle banding, but I recommend sanding after the primer coat to remove them as sanding before doesn't really completely get rid of them for some reason, and the acetone just brings them right back....dont be afraid of a little sanding! but wear a mask when doing it as the dust is real fine. So basically a touch of sanding before and a touch after. you also dont need so much prime, even spot coating is fine. 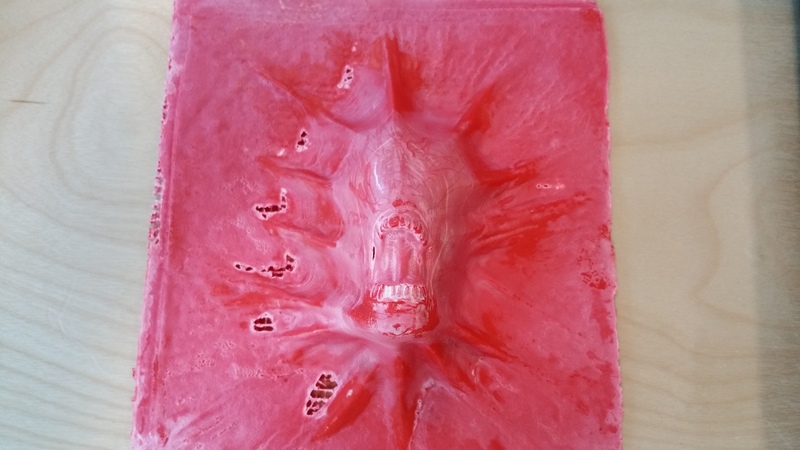 OK here is my last vid for my method of PLA smoothing, the Cloakfiend method, lol. OK i have waaay too many of my acetone test paint jobs laying around so im throwing out most of them out, here they are for memories sake. OK i thinks thats enough, please dont press reply, as its gonna be a lot of space wasted repeating all the pics!! I really like your surface finishing and the patina's you've been applying to the prints. 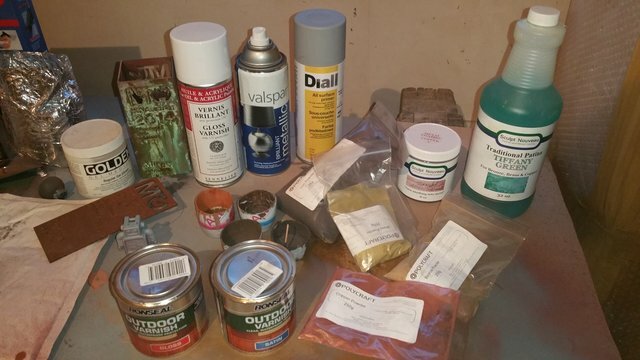 Out interest are you using Modern Masters paints for these treatments? I tried them for one project and thought they looked okay. Thanks, They really aren't very difficult at all to do, and no i dont use Modern Masters paints. 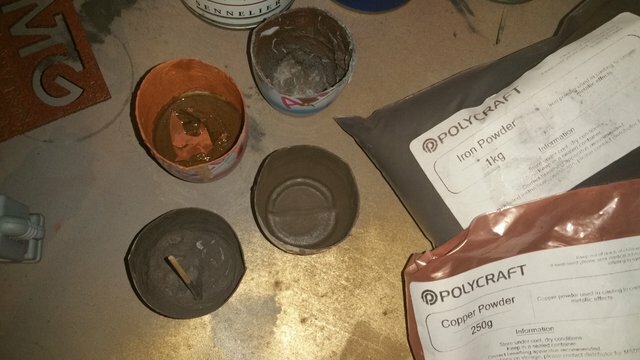 I tried one type of paint from http://www.sculptnouveau.com/ (the type-c metal paints) and i got the tiffany patina from there as well(which is awesome BTW and you can get fake rust too! ), but from what ive read and personal experience you can just make all the paints and patinas yourself and save A LOT of money. its just chemicals after all. Also i prefer the look of my home made metal paint rather than this one as its much much more reflective and looks more genuine in my opinion and the patina look way nicer than with the purchased paint as it contains more metal to react with. On the other hand these ones are much more easy to apply as my varnish mix is tricky to apply if you are a novice with painting techniques. 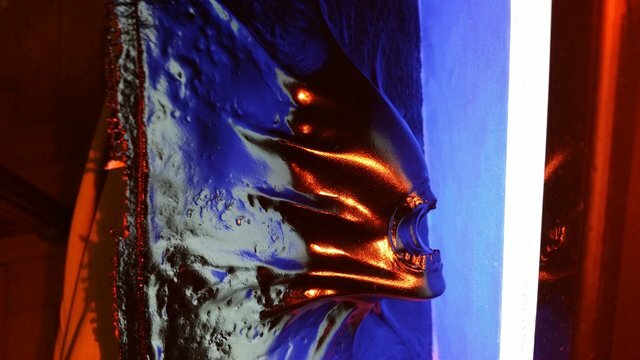 The viscosity dramatically changes with the amount of metal powder you mix in it and can go real globby and drip, but if you take your time and make notes of how much works best for you its a win win. all you need is varnish and metal powder. and wire wool. Also black ink wash for the detail. then you polish it of again, and you have your perfect model. The really shiny metallic painted models in my pictures arent actually paints they are varnish (in my case ronseal) mixed with metal powder. each one looks slightly different as i never bother measuring how much powder I use and often add more or pouring more varnish for my desired amount of metal. 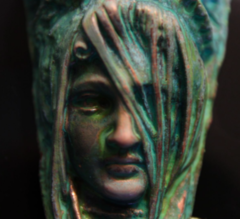 It why the patina works (as patinas are just acid reactions to the metal powder in the varnish), as i mixed copper powder in the varnish and then buffed/polished it down with wire wool to make it shine. Hope that helps.... ill post pics of my paint pots so you'll see for yourself, its all a bit ghetto as its diy but that way you get the look you want. Also when the varnish is still wet you can throw different metal powders on it to get a mixed finish with multiple metals in it which looks great after as you could never paint it like that using any paint technique. Ok heres my little painting setup that ive tested on the models above. And the pots ive used to mix the varnish in. Ive just been arguing with some guy about pure PLA vs PLA blends, lol. some people are so retarded. 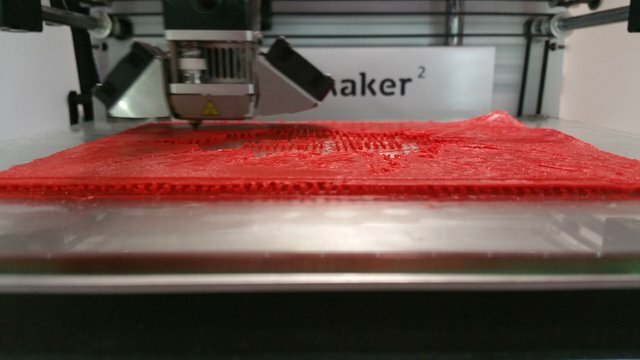 Claiming that PLA blends are not really PLA? lol just cos he can't use acetone to smooth his models like I do. So for all the people who buy PLA from different manufacturers, I will tell you this, they all use different recipes (and i doubt they will tell you exactly what percentage of what is in them). Therefore you will get different results from different manufacturers. I found colorfabb and UM to be the best so far, UM wins it for me hands down though, even though it bleaches more, it also smooths more with no cracking or splitting what so ever which may occur with colorfabb. 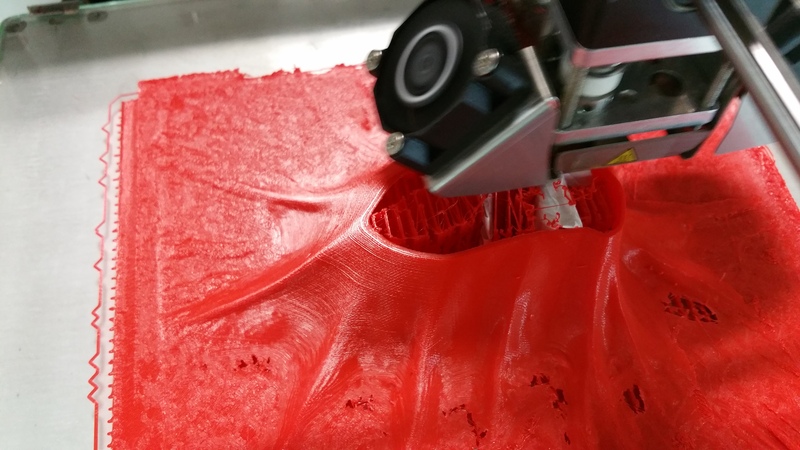 So if you are not using Colorfabb PLA or UM PLA then dont be surprised if it won't smooth like in my videos!!!!! Ok heres my next print based on a 3d poster i have that didn't 3d scan very well so i ended up drawing all the details... but unfortunately its thinner than expected and some bubbling is still visible but i'm too lazy to start a new one as this one is okish and I never check the layer view, lol. 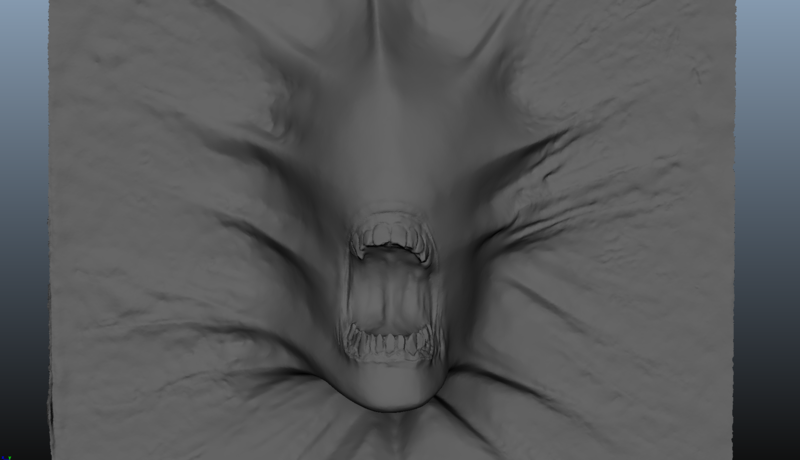 My second attemmpt at zbrush, so apologies for the poor topology and just a freestyle so sorry to all the Alien purists out there. 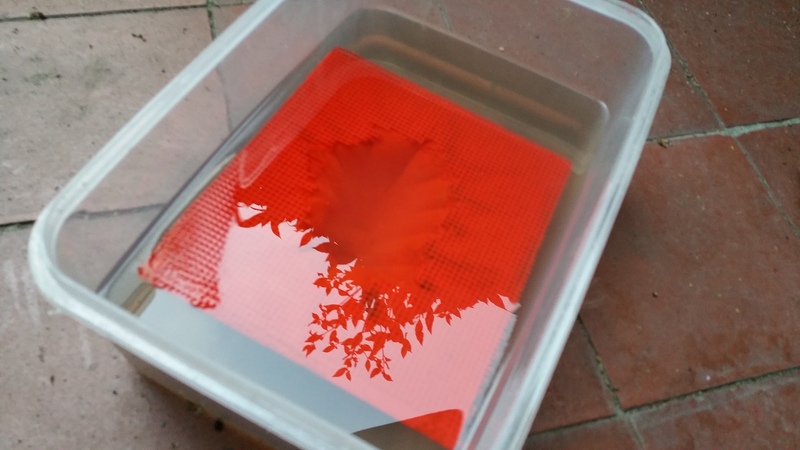 My main problem with this one is that it has a tons of thin flat area which the acetone treatment will most likely warp (will definitely warp, lol), so we'll see what happens when i dip it! 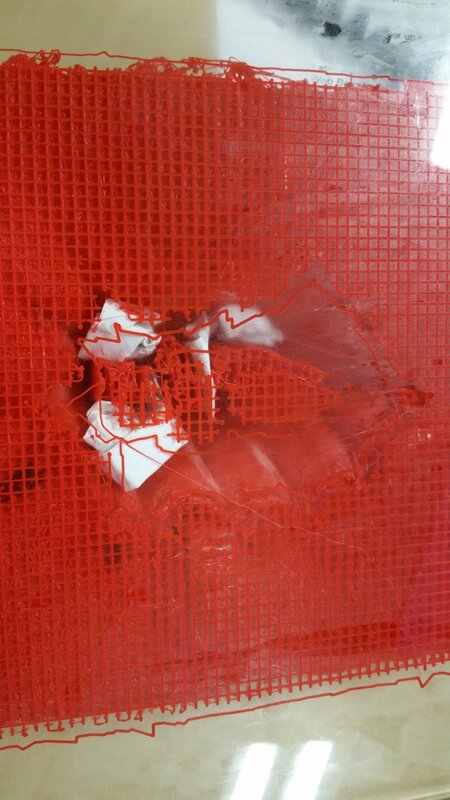 I might put some heavy objects on it directly after the dip to try and minimise it as its already warping on the glass on one corner and a side! 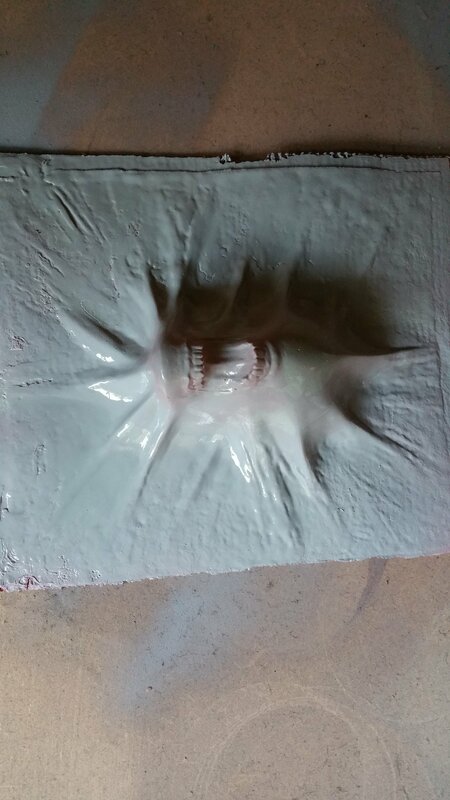 about 8 more hours till i see if the face comes out ok or if i made the walls just too thin! its already missing spots so im just hoping it will at least do the face ok :(. OK things are going wrong now, i mean its even going over the skirt lines, lol, and its curas fault, maybe the file is to big? maybe its too complicated, but things look misaligned and off center and differect to cura in all views. no idea. Ill let it finish, do another one with a thicker shell and if the problem persists then ill see what the new cura says. I think ill be lucky if it even finishes, lol. Ok near the end due to the base being offset somehow by cura, i jammed in some paper (lol) for support so the internal structure wouldn't completely die and it could at least finish printing. Luckily it worked. 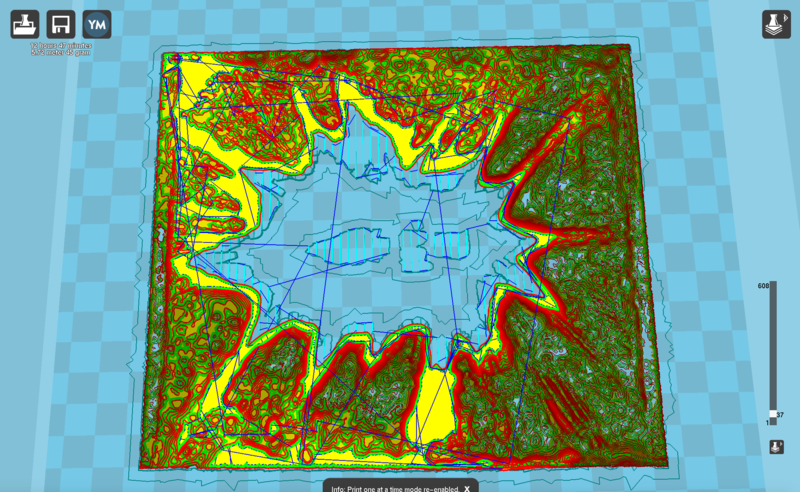 Lots of holes and weird stuff, but it could perhaps be the appalling topology, so i cant blame cura all the way home! some pics, il clean it up a touch and do a dip, and spray it to see the true result! 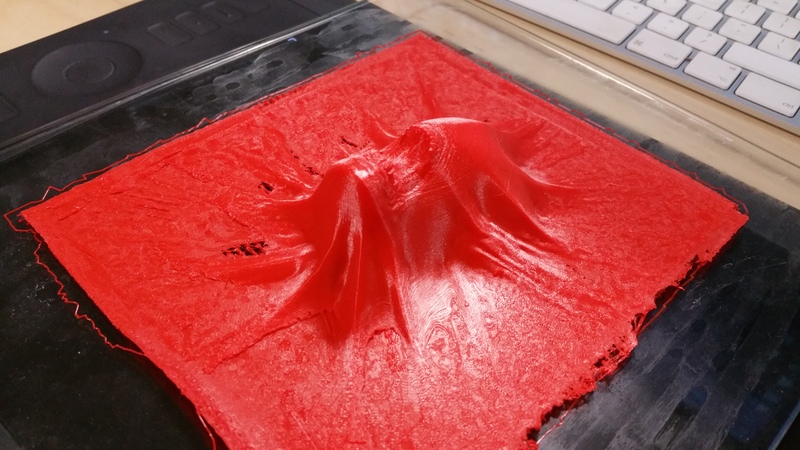 First time i've actually paused a print half way through for a valid reason! Ill post a final too, dont worry. Ok here is a basic photo after i sanded the smooth areas as usual (there was a big line visible where i paused the printer to insert the paper to stop the supports getting knocked over! )...will acetone the rest today. 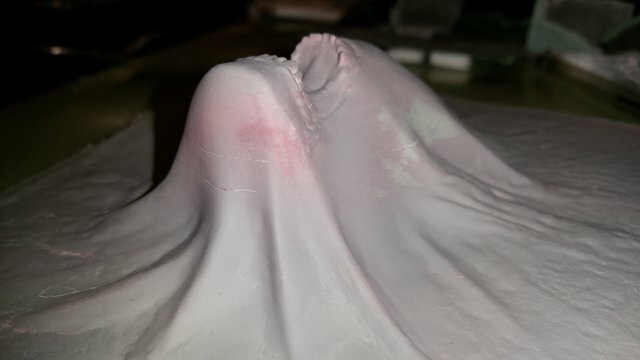 I want to keep the detail in the teeth though so i may dip it for less time than i would normally dip colorfabb for, maybe 35 seconds only. Ok a few more pics. i dipped the teeth area for 30 secs, and the rest for another minute as i wanted to smooth out all the weirdness that cura did. Unfortunately the face caved in a bit due to unknown reasons, and the flat areas warped seriously so i put some heavy books on them overnight and will post pics of the final spray when i do some patch work as this is a messed up print and is ideal to practice a bit of filling work, as there is also a big crack, which seems to happen with colorfabb a lot, unlike UM PLA, but we'll see. No problem. here is the putty. 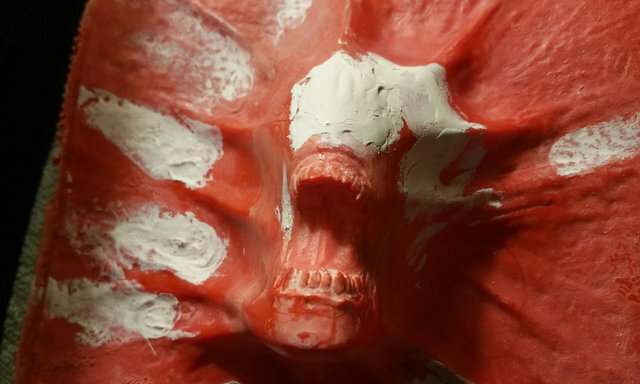 First time using that tamiya modelling putty which seemed real fine but im not used to such a liquidy putty so layed on a bit too much, it dried real fast which was quite cool, but the heavy areas took a while. need a bit more practice with that. and the sand paper is gonna need to be much rougher than my usual to sand it back. ive had enough of using fine sandpapers they just dont do enough, i started to use 320, but now will go back to 240, and below because 320 just does too little to the plastic. Ill use it to finish with instead. ok, filled it and sanded it, and sprayed it. took longer than i wanted. im not used to doing this much work to my prints as there is usually no need to. If this was printed with Ultimaker filament then it would not have split. 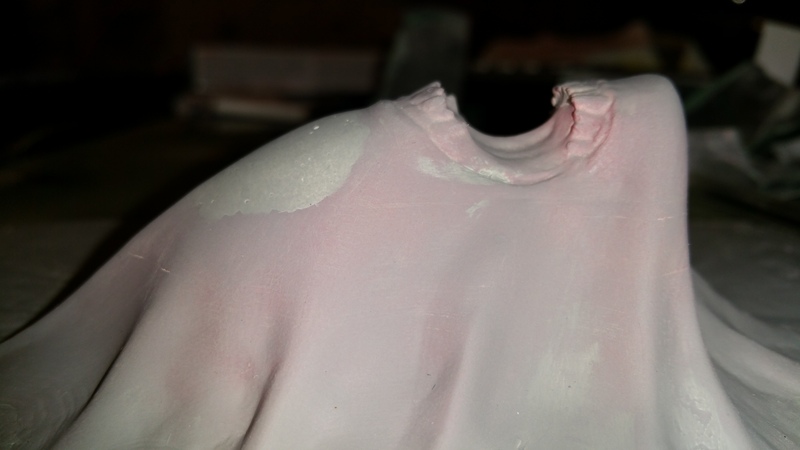 the filler has some bubbles in it but appears smooth enough around the edges so i hope i dont see the outline of where it joins the plastic, had to go quite fine 400 for that but base sanding was done at 180 then 240 then 320 then 400 if you really need to know lol. I have to say at this point i feel sorry for anyone who regularly covers their objects in filler and then sands them down after. I never did it before and i got to be honest i hate doing it. it wastes so much time, paintng waiting to dry filler more waiting then sanding more filler then waiting and sanding, its never ending if you want a good result and im only doing it on this model as it is a salvage job due to the many problems i had with it. Normally it would be the usual 5 mins of sanding then into the acetone and job done! I might be a bit thick here, but given the sheer amount of effort you have put into making this model work, why didn't you make the model a solid and print with something like 15% infill? You could have made the floor a bit thicker, and printed 5 or 6 shells and avoided all that exquisite agony you are going through trying to cover your plastic in gunk. My sympathies to you nonetheless. This looks painful. 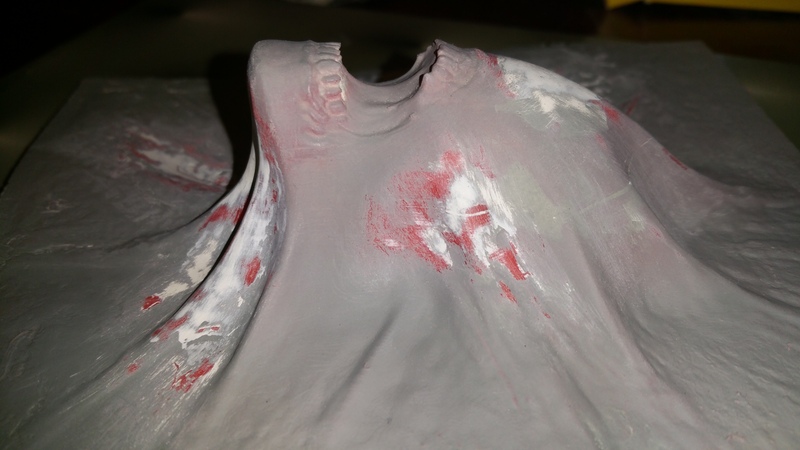 Lol, it looks real bad but its mainly smooth and you must remember you wont see any of it if all goes well, and its very thin so I'm very happy with it, but I doubt if any of what you recommended would have helped apart from the infill, but i don't bother anymore with infill as caving in generally never happens (it did this time as i dipped it twice in separate halves so i think it had issues evaporating and also when i forced it to straighten out the warping with heavy books so the pressure of it trying to bend may have transferred to the head?) . 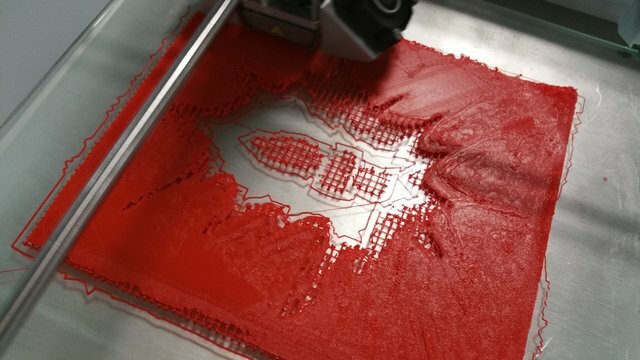 The print was doomed from layer 37 onwards anyway due to an issue in cura, and would have only added more time if i added infill to the print which im trying to avoid. Im learning this whole filler and sanding game, i think its a good skill to have to be able to perfectly smooth out any surface blended with another. I have only spent like 20-30 mins sanding and filling in total so its not that bad, as I often add tiny bits but then have to wait for it to dry before i sand it. I have never done this before so out of curiosity i thought id see first hand how difficult it was to smooth out cracks and imperfections with filler in a way that was perfect and you couldn't tell like car body repairs. I've achieved that now, so its time for the final coat and then to paint the detail. 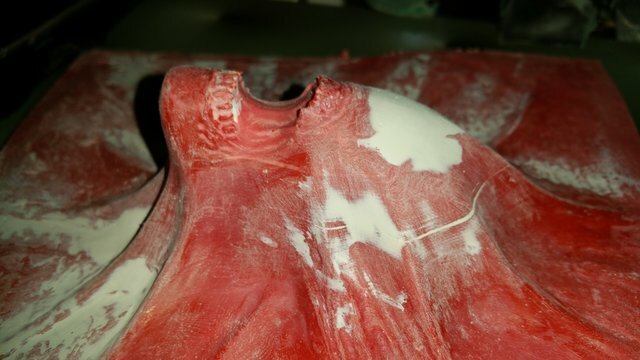 The pics are just an illustrative guide highlighting the issues with acetoning models that have either been printed badly or at too low temps, or with filament that doesn't play so well with acetone or with models that the layers haven't bonded that well. And issues after intial spray undercoats. if i was to print it again i need to straighten out the base and a few more things. I really cant be bothered printing it out again. I've got a bigger HR giger style job tokeep me busy with in the meantime anyway. 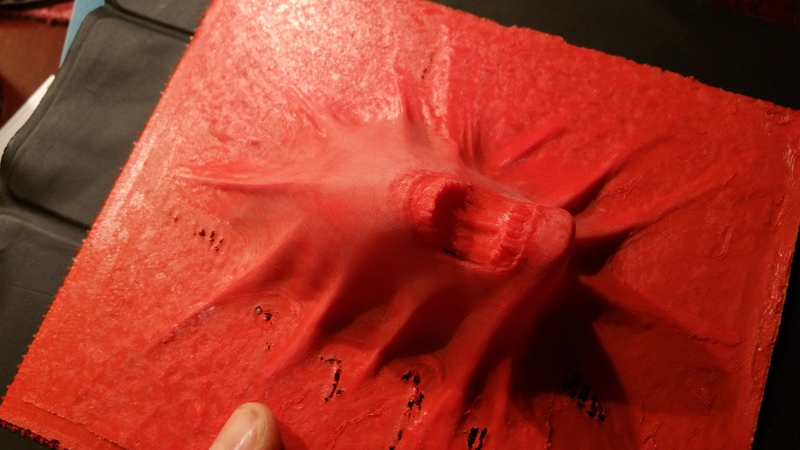 I accept the risks that occur when printing with no infill due to the much quicker print times and zero quality loss issues, and of course savings on the filament, this is the only time things have gone so drastically wrong for me, but again, 2nd play with zbrush so im sure the topology is awful and also the import to cura went wrong so two things to worry about there. Id rather learn on the next model i make than printing out the same one over and over. ok just sprayed it black and im going to leave it, still see a few crack lines i thought i could get away with ans spray can was running out but it will do. i took the photo against my ipad with a blue screen and a see through red cigarette lighter held up against the flash light on my phone, ghetto style, lol, looks ok though. Well, at the very least all that effort resulted in some very beautiful pictures!! Sometimes new tricks, like filling take long and are a pain but when you are more used to it, know what to expect and know the results it is a great skill to have! I suppose if you mount it vertically it would make an interesting towel hook. ...or the button for the secret door to the batcave.